Welcome to Mother Nature's Candy Shoppe! It's a place where delicious and nutritious collide in an explosion of sweet, tangy juiciness! Not only does fresh fruit taste wonderful, it's also amazingly beautiful. 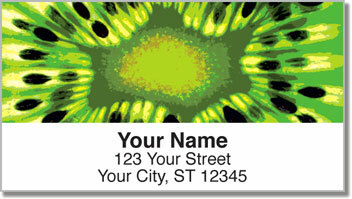 That's made perfectly clear by the fantastically vibrant fruit featured on these unique return address labels. The four images display a kiwi, grapefruit, watermelon and an orange. It's a rainbow of scrumptiousness! 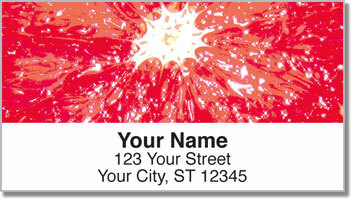 Stick Fruit Slice Address Labels from CheckAdvantage on every envelope and discover how much time you save. 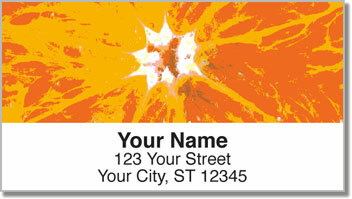 You'll never have to painstakingly print your name and address on a letter or package again. Just peel and place thanks to the self-adhesive backing. 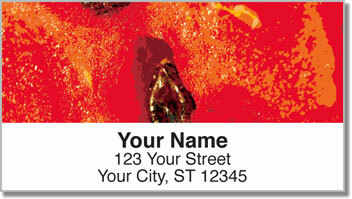 Get your very own Fruit Slice Address Labels right now! Make your order complete with matching personal checks!